Located in Rotorua, New Zealand - Wai-O-Tapu is a national park of jaw dropping proportions. 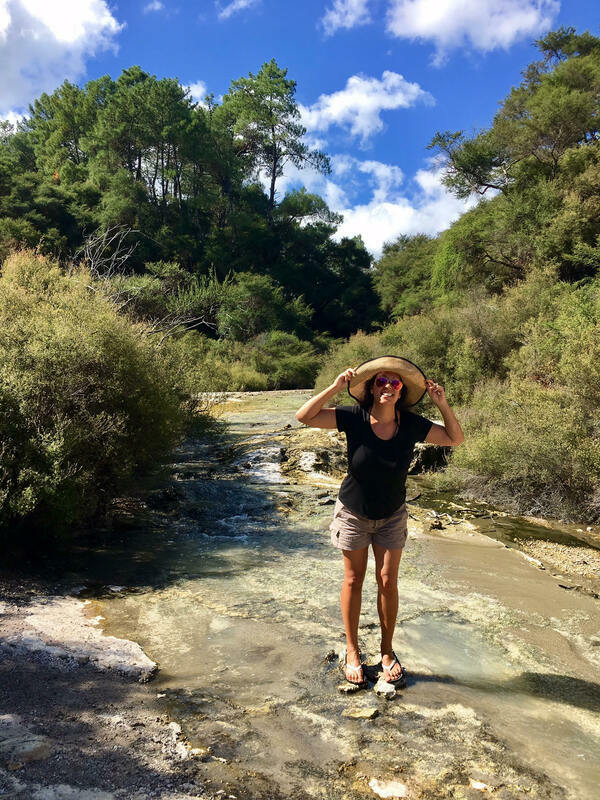 The Wai-O-Tapu Geothermal Park is an all natural wonderland highlighting an active geothermal area featuring volcanic remnants that teases the eyes and stings the nose. 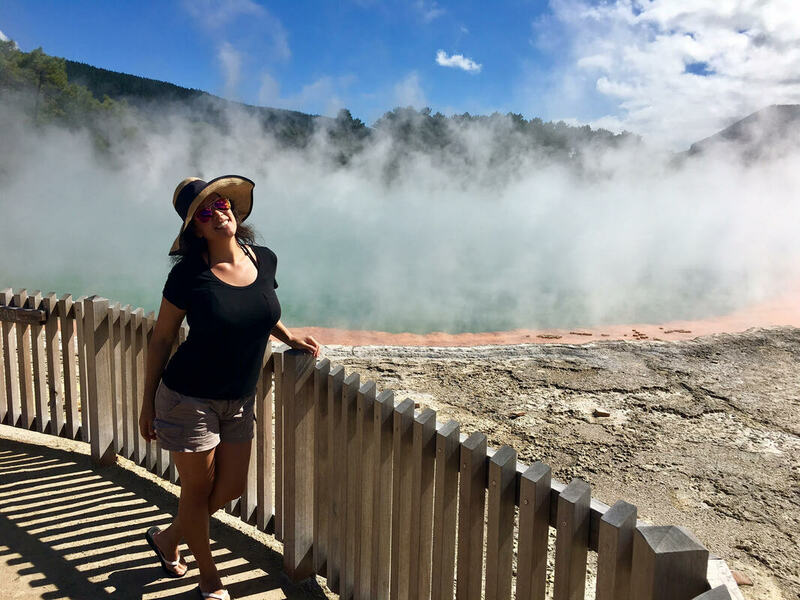 Created thousands of years ago this completely all natural landscape features 18-square kilometers of volcano craters, mud pools, green sulphur lakes, hot springs, and the Lady Knox Geyser (which erupts daily at 10:15am). When you arrive there is ample parking and if you go in the afternoon, be sure to bring an umbrella and some water. It can be very hot and very much like the dessert. There is a strong sulfur smell some people were slightly sickened because of the heat, the smell and the sulfur fumes. But it is not that bad. The visitor center is state of the art and has AC, restrooms and lots of things to buy from natural body products to amazing paintings and of course trinkets. The are open everyday, 365 days a year, tickets for entry range from $11 to $32.50. Once you enter the park it is like any national park with some trails, slopes, steps, outlooks, limited shade and lots of photo taking opportunities. Be sure the really enjoy the views, the Champagne Lake was phenomenal and breathtaking. The natural state of the former volcano is really unique to see and the colors are so vibrant. You make have to wait for the wind to shift as depending on the way the wind is blowing you can see less or more of the crater. When the wind blows the sulphur away, it reals brilliant colors and vibrant hues of green, blue, orange and yellow. 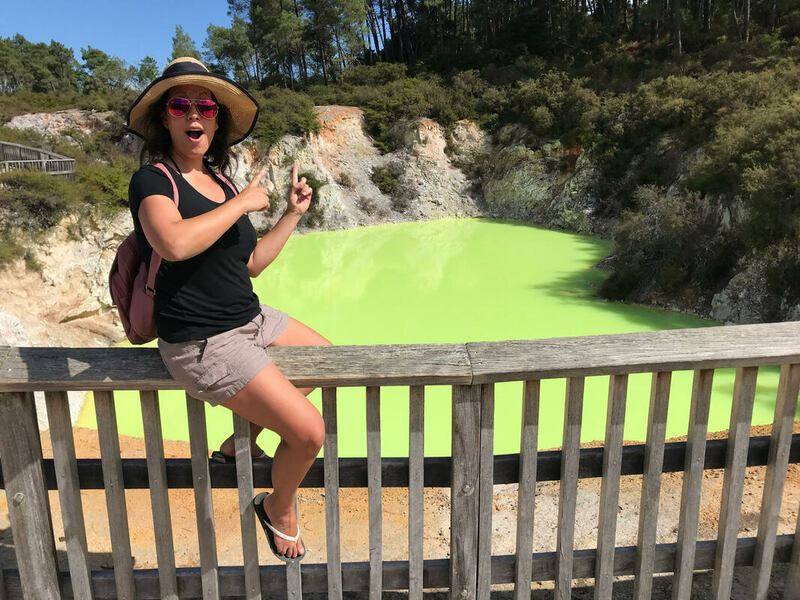 The Devil's Bath is also a fluorescent green pool which is truly a sight to see. There are many tourists from all regions and of course lots of cameras, selfie sticks and etc. If you take your own course away from the crowds you will find it peaceful and tranquil. As with any other park please keep your litter to yourself, be sure to stay hydrated and eat prior. Be prepared for some mild walking. I would recommend shorts and covered toe shoes. The Champagne Pool is an eroded volcano crater. Devil's Bath looked even more vibrant than in the photo. As you wonder through there are several babbling hot springs and nooks to check out. I wore slippers which was ok, but I would recommend closed toe shoes or sneakers for better comfort. You can choose one-three routes for your walk, which can take 30-75 minutes. Noted as one of the most surreal places in the world it definitely is a must see. When's the best time to visit Hawaii? Anytime! All seasons have something for everyone. Flowers are vibrant, fragrant and in bloom, panoramic views from hikes are stunning emerald green and music is in the air during spring. Every year Hawaii musicians are alive with song and dance as we welcome May Day Lei Day as huge celebration of dance, flowers and song. Throughout the months artists are featured as part of Merrie Monarch in Hilo and Mele Mei (statewide) recognized with live entertainment, competitions, concerts and the annual Na Hoku Hanohano Awards which is similar to the Grammys in Hawaii. Look for hula festivals, Lantern Floating, the Spam Jam and King Kamehameha Day to liven up your camera roll. Balmy temperatures, longer sunny days and fiery sunsets abound during the summer months in Hawaii. The Kapalua Wine & Food Festival draws lovers of fine grapes and delicious cuisine from around the globe. Meanwhile, Duke’s OceanFest celebrates all water and beach sports while perpetuating Hawaii’s famous Olympian in Waikiki. The Made in Hawaii Festival in Honolulu draws thousands to taste, touch and tinker with the latest in locally made items. And the Aloha Festivals showcases the culture, flora & fauna and history of Hawaiian legacy and iconic pa’u riding. 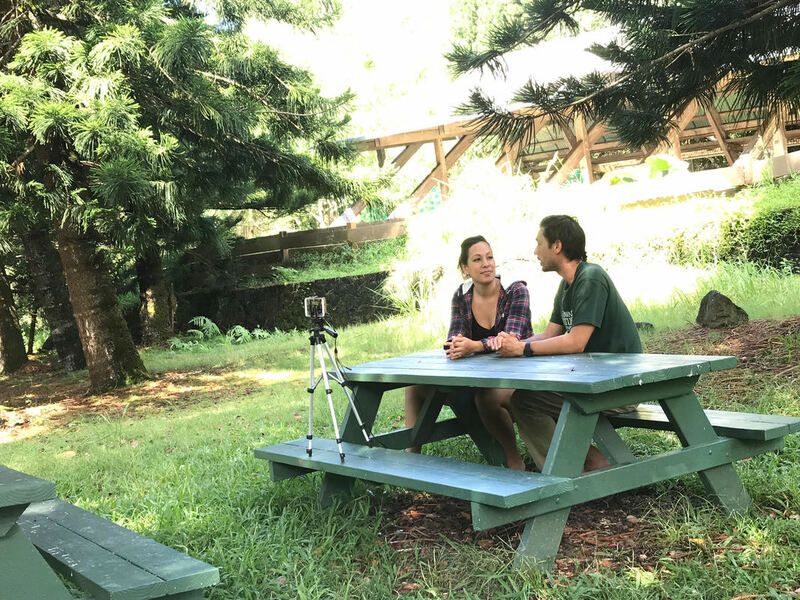 From coffee to fitness and locally grown produce, fall in Hawaii means days are a touch cooler, island activities and events can be less crowded and the ocean is still lovely, warm and inviting. The Kona Coffee Festival showcases the island’s finest coffee growers and farmers, along with coffee treats and eats. The Ironman World Championship welcomes athletes, their friends and family to friendly competition by bike, land and sea. 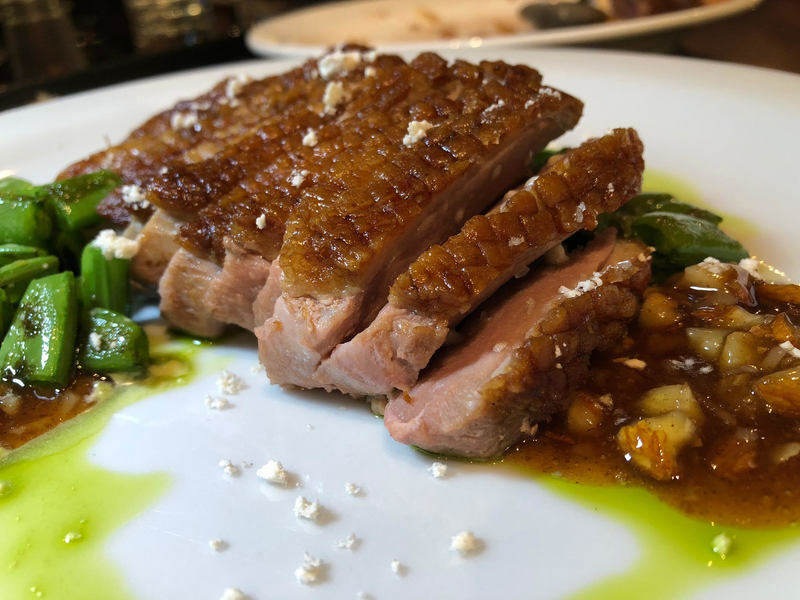 And the Hawaii Food & Wine Festival travels statewide showcasing the best of the best in culinary from around the globe utilizing local ingredients and engaging with local chefs. Snowbirds know, blue skies, white puffy clouds and massive surf sets beckon visitors to the Hawaiian islands each year from Thanksgiving to Valentine’s Day. Also frequently touring the island chain, Humpback Whales love to call Hawaii home during these mildly cool winter nights. Holiday traditions include annual Christmas Light parades, Honolulu City Lights adorned in breathtaking holiday decor and A-Lister performers from across the globe frolic to the islands each year for New Year's performances and a multitude of celebrations. Look for the Wheat Free logo. Gosh, I must've been in elementary school when my mom took me to an allergist to find out the source of my allergies. The test came back and I was allergic to various things including pollen, dust and wheat. While over time I've heard much of the human race is allergic to wheat, or eventually grow out of it as a child and into adulthood... There are many people out there that are noticing a difference when they eliminate wheat or gluten from their diet. For me, I actually don't practice any elimination, I think as a result I may have one nostril that is habitually clogged, but I found that I can live with it. 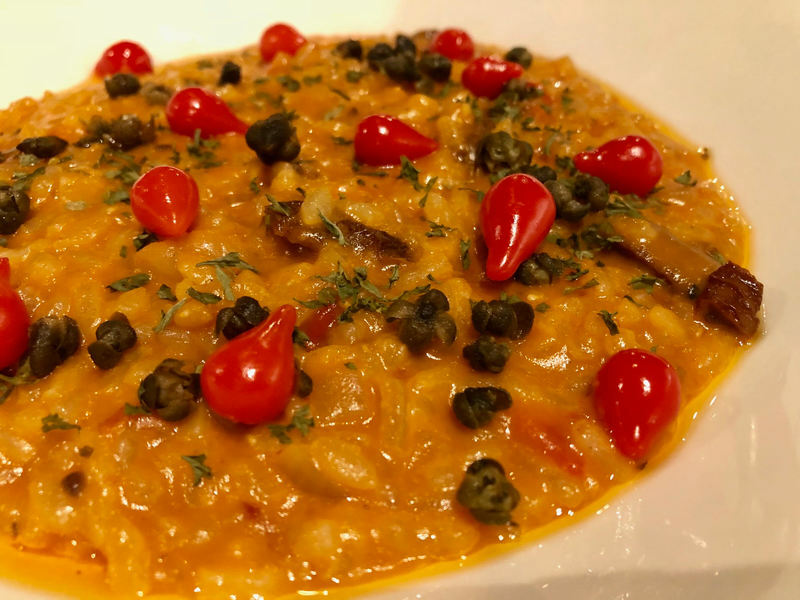 Overall, people tend to feel better when they eliminate wheat and gluten from their diet and I have found there are great options when it comes to making this decision. Before we dive into this I also want to note that there is a difference between wheat and gluten. Gluten is a protein found in grains including wheat, wheat is a grain that contains gluten. So what does that mean exactly? Well, if you are allergic to gluten there are other items that may have gluten in them besides wheat. So it's best to get checked to find out what you are allergic to and how to best avoid those things. 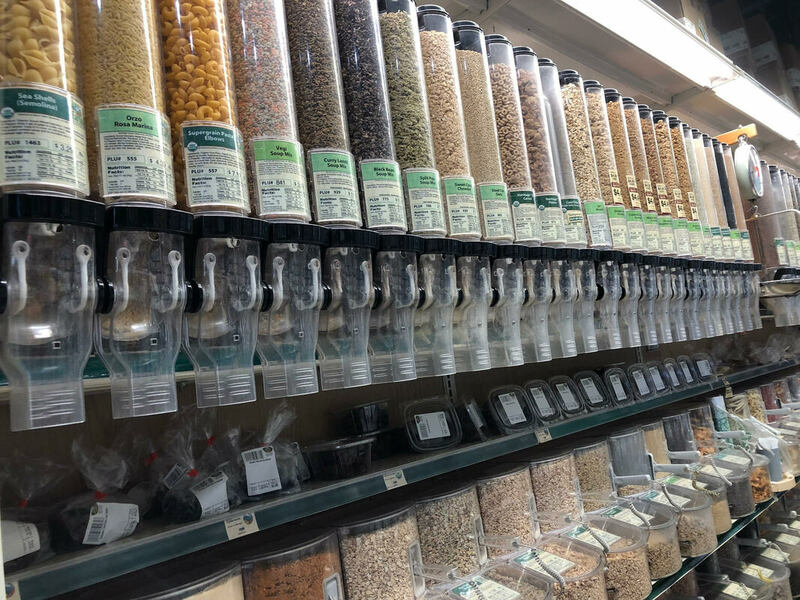 Fabulous health food store Down To Earth has a wide variety of wheat free and gluten free items. I wanted to showcase some of my favorites so you can try them with ease as well. 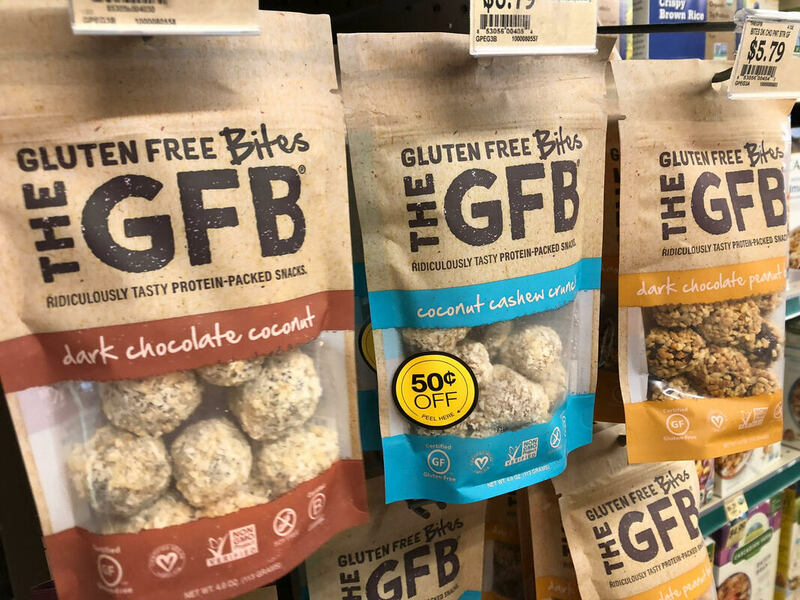 Hello Mama, these gluten free bites (The GFB) are packed with flavor, protein and yummy goodness. They make a fabulous energy snack and are loaded with nuts, texture and deliciousness. Speaking of nuts, I am a sucker for the variety of amazing nuts in-store. My favorites are cashews, almonds and coconut. This is a great addition to my morning banana, yogurt and/or cereal. I love carbs, carbs, carbs, carbs... The baked items at Down To Earth are amazing. 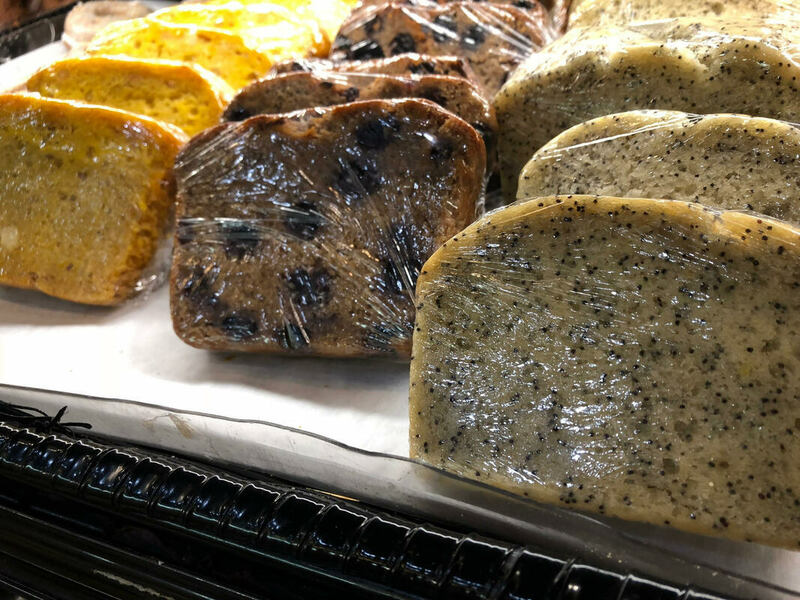 The breads here are also Wheat Free, as you can see they are delightfully moist, impeccably baked and you don't miss that wheat at all. Pumpkin, Blueberry and Poppy Seed! 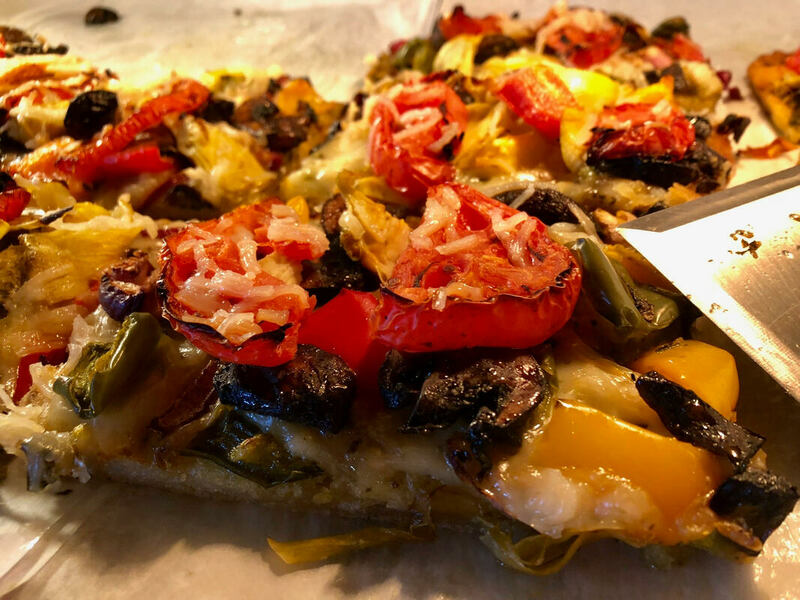 There's always a generous amount of wheat free pizza at Down To Earth. I can appreciate all the various flavors and ingredients they use and the portions are huge and under $5 a slice. 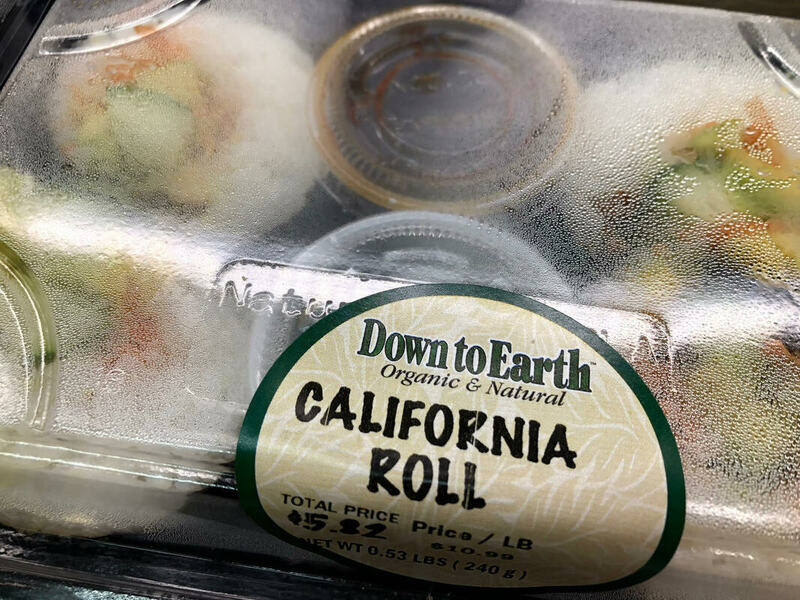 Typically Sushi is a great option when you are opting to go gluten or wheat free. It can be filling, healthy and tasty. The only thing to note is that soy sauce can contain gluten so be aware what kind of sauce you are using. 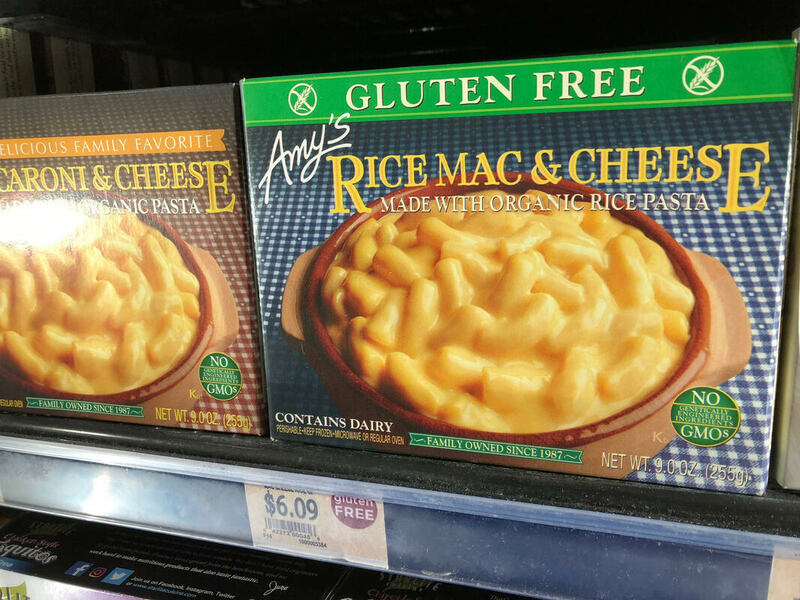 Speaking of rice, checkout this amazing mac and cheese using rice and it also contains no gluten. Rice is a really great substitute for many items even rice milk or rice ice cream can be delicious. Disclaimer: I am not a doctor or in the medical field, these are my opinions and views alone and if you have any serious concerns please consult your doctor. 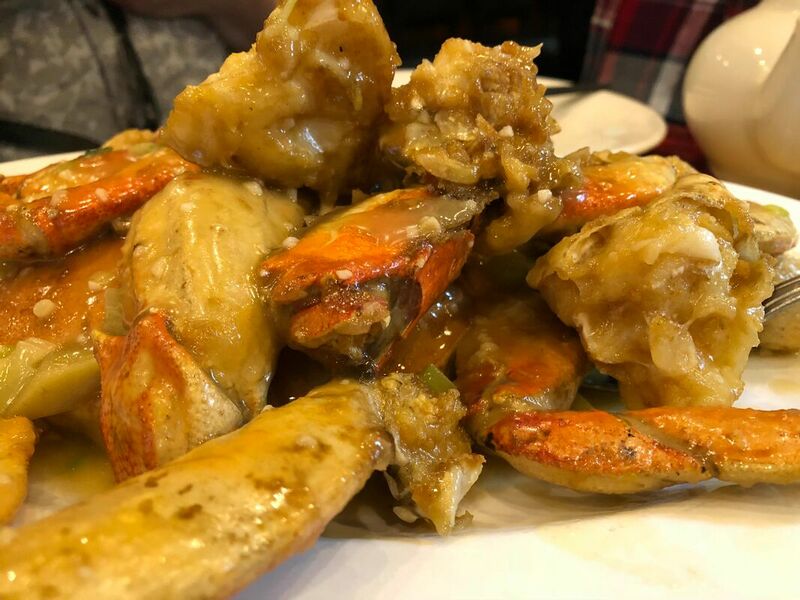 I recently put together an episode of Da Best Hawaii featuring Lobster King, I had been before and they are known for their Chinese cuisine and of course fresh lobster, but what I didn't know is they have a huge selection of fresh crab. 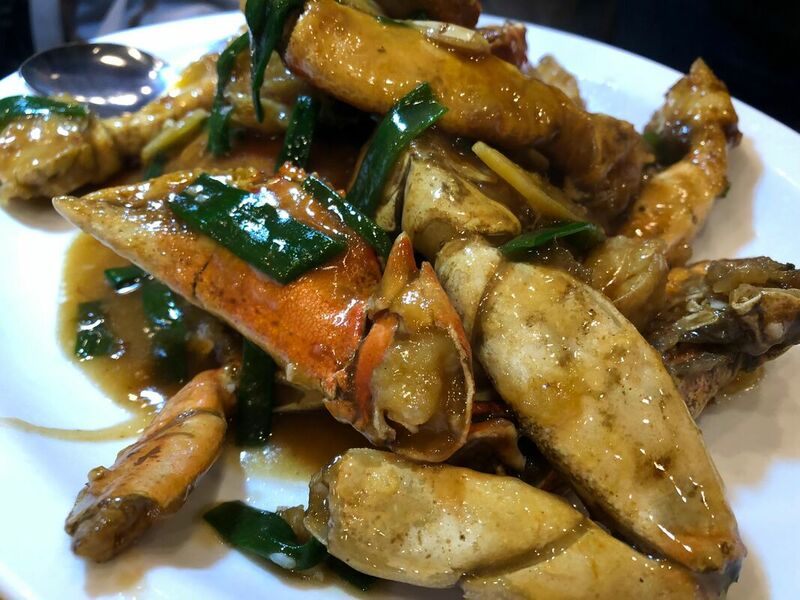 In fact, they have released a total of 6 variations of crab... much to my enjoyment (because my husband doesn't really care for seafood). I got to devour all the flavors of crab in one sitting. Just kidding, we had a tasting with a bunch of my foodie friends and got to share and sample all the different crab recipes. So here ya go! 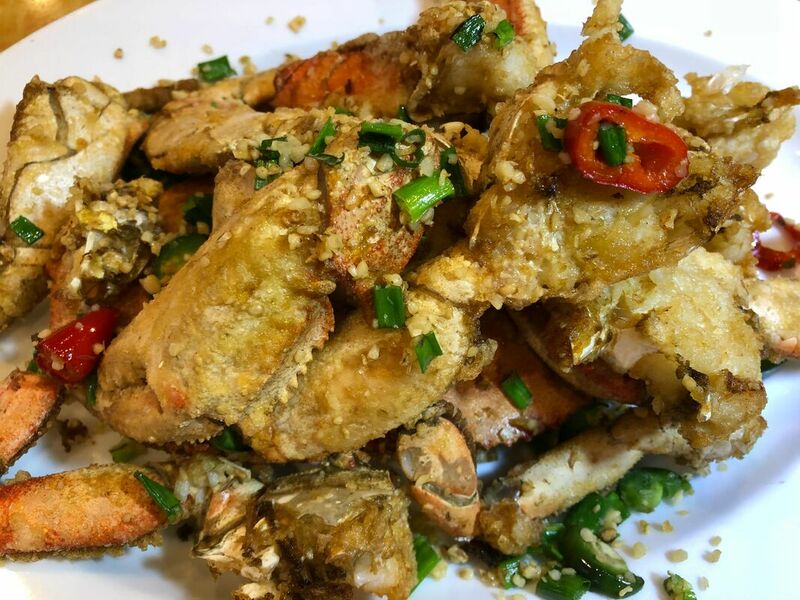 I will showcase which crab recipe it is and let you know my favorite as well. Garlic Butter - this was decadent as you would expect. A great garlic flavor with the richness and savoriness of the butter. Outstanding combination! Ginger Onion - I am not a fan of onions, in fact they are my least favorite thing to eat. But this was a well balanced combination of both ginger and a delicate onion flavor. I enjoyed it and kinda forgot about the onions. 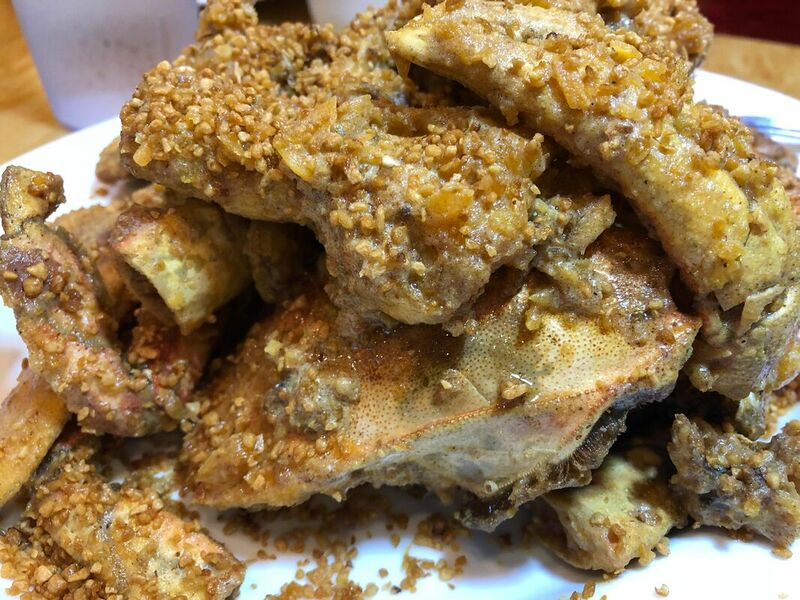 Golden Crab - a unique preparation, they take salted quail egg yolk and mix it with other seasonings to give this crab a subtle golden hue. The flavor is an earthy essence with a slight funk which appeared to be the crowd favorite, however it wasn't my top choice. Spicy Crab - As you can see there's a lot going on here. 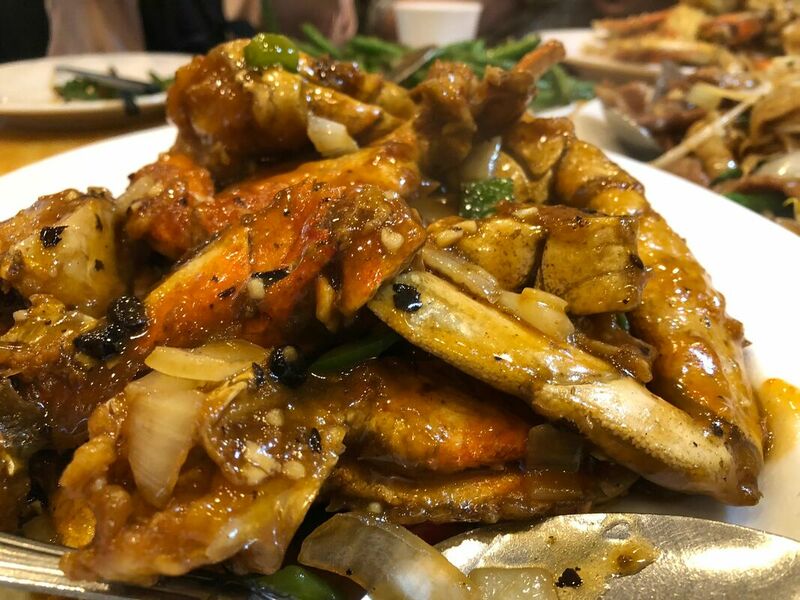 The element of spice was not over powering and the sweet delicious crab was still evident despite all the spicy peppers. 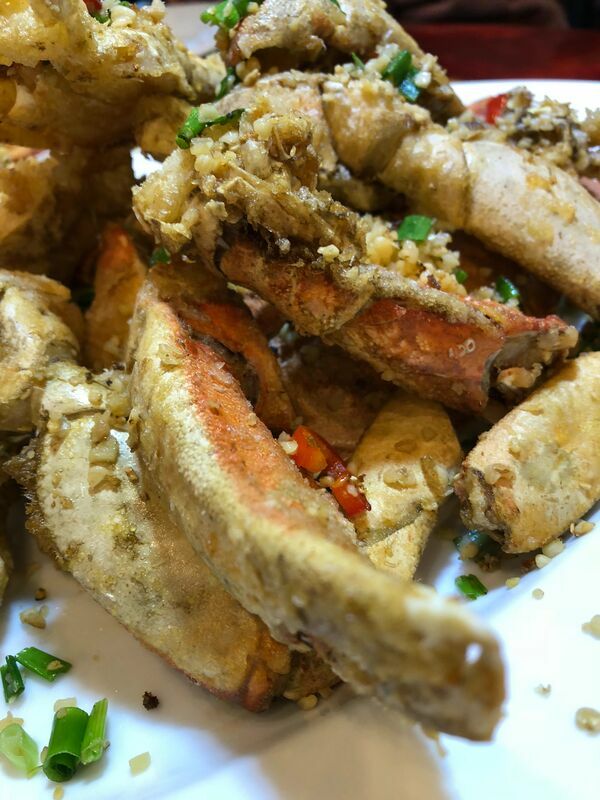 Salt & Pepper Crab - excellent combination incorporating local flavors with the delicious crab. 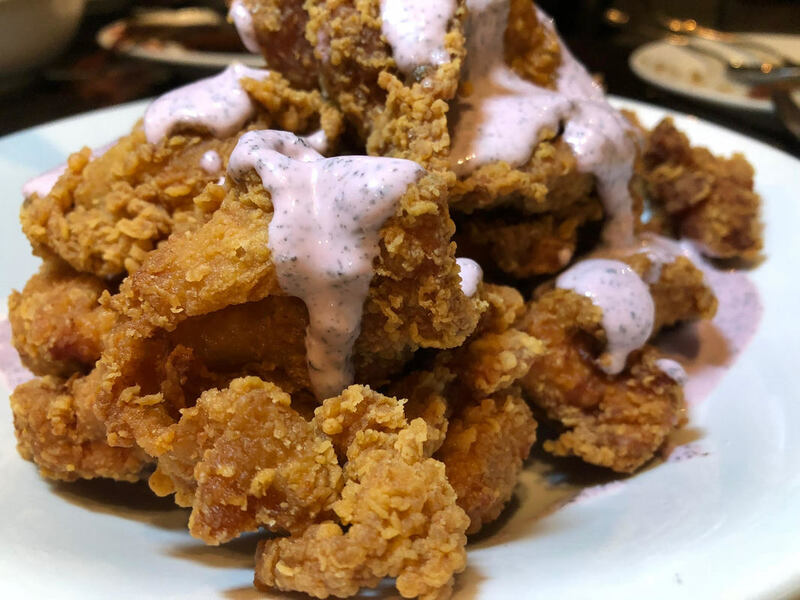 Nice way to enhance the seafood which is usually served in a shrimp combination. Black Bean Sauce - Not gonna lie, I was surprised but this was my hands down favorite of the night. 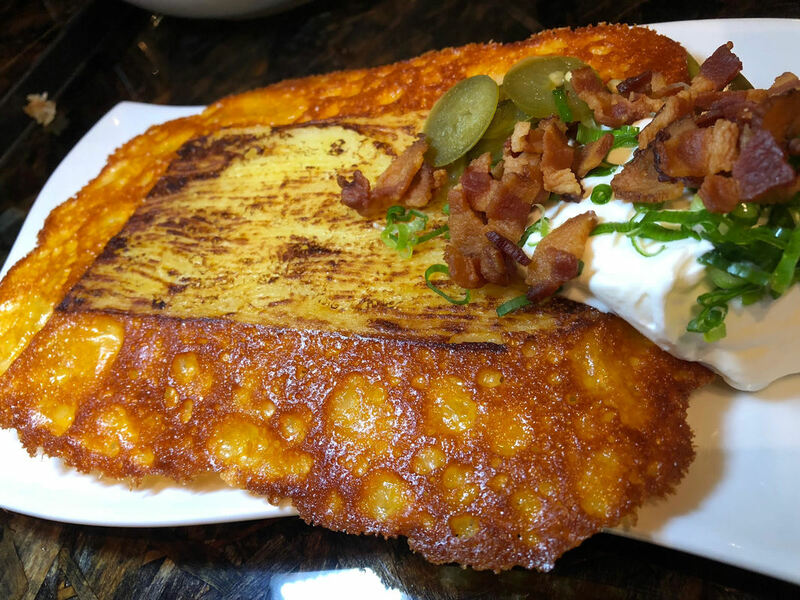 I think because it was so delicious, perfectly executed and offered depth of flavors and textures. Overall, this was a crabtastic meal! You have to put in all the work to get the meat out, but it is so worth it. They have an interesting story - Korean bar owner comes together with a Chinese seafood seller. Not going to lie, my Driver's License was about to expire and I hadn't done anything to prepare. If you haven't heard - the requirements to getting a renewal have become a lot more stringent and are not as easy as showing up and taking an eye exam. But I found the process to be less painstaking then I had expected, thus I decided to write this blog to help others find their way through. You will need to fill out an Application form, you can find this online and fill it out in advance or fill it out in-person. 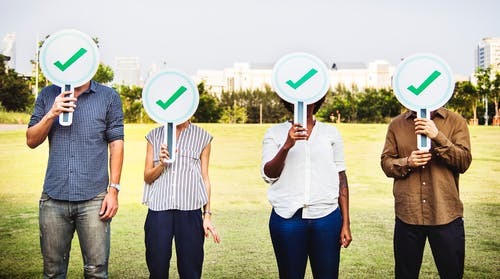 All the above will show documentation of your: legal name, date of birth and principal residential address and everything needs to match - the name and the address. Place all these items in a folder or bag, removing the excess envelopes, clips and etc. You can also opt to get in line today, but for me the online version to do this wasn't working, so I had to go down in person, which if you plan right can be a pleasant experience. Head down before they open and get in line, then while you're in line you will get a number. Once open the line moves somewhat quickly, those getting Driver's Licenses (without an appointment) are given a ticket with a date and estimated time for your day-of appointment. Mine said number 24 at 10:45am, so I left, ran an errand or two and returned at 10:30am. When I got back the number on the screen said 21. Once it hit 23 I went inside and sat down. Then at exactly 10:45am they called my number (extremely efficient and on schedule - this was great). I found this process to be very easy and well organized. Keep in mind that they may not be as on schedule as it was for me on that day, but it was well executed. As far as the number of people in the line in the morning, I believe it is limited, so if you don't get a number that morning you may have to come back again. You can also get an eye doctor vision clearance and skip the eye test on-site as well. Also, you receive a paper copy of your new license which doesn't come in for a week or two and the paper copy is not suitable for travel. *Disclaimer, I don't work for the city or state and this was my personal experience. This is my understanding of the requirements to the best of my ability. Wow, 2018 sure did have its peaks and valleys!! I cried really hard, loved even harder, laughed until my stomach hurt and realized I can no longer drink wine/sake/champagne anymore (it literally makes me sick, some kind of allergic reaction or something)! I can honestly say that looking back, 2018 was filled with some truly treasured memories, amazing explorations and once in a lifetime opportunities. As we move forward into 2019, it's important to me to be forever grateful, mindful, kind and truly live this life and each day as if it was your last. One thing I have learned, and reiterated in my mind, was to live without regret, take those chances and opportunities you wanted to take and don't hold back. Time here on Earth is short and we need to do what we can to maximize every second of each and every amazing day. 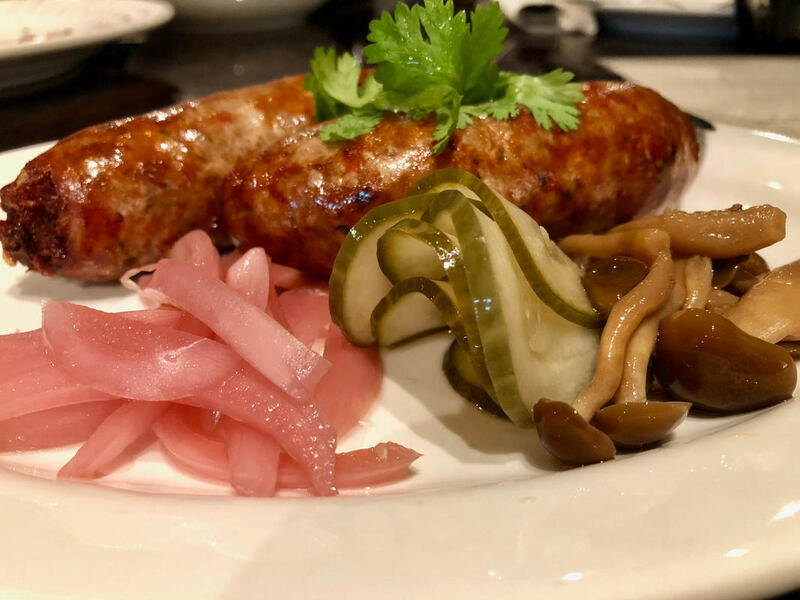 Here's a look at the highlights of 2018 - from My Point of Heu of course! 1. 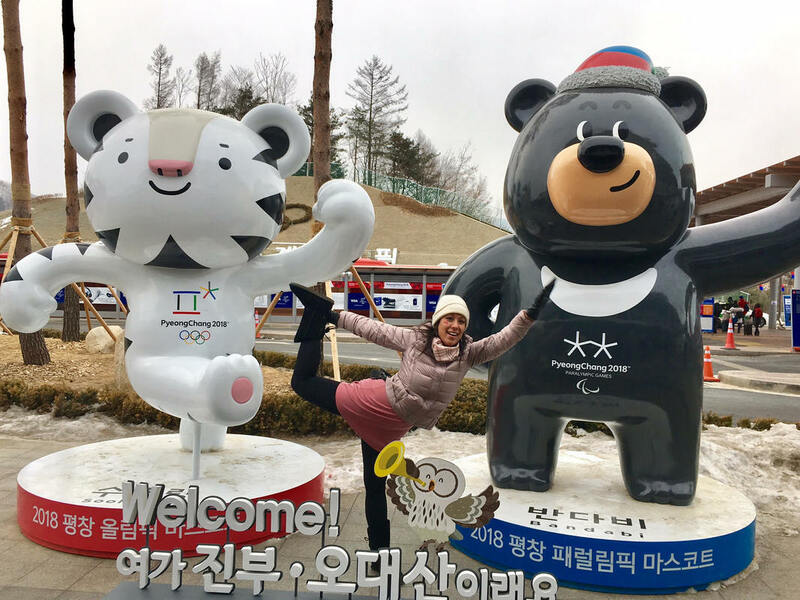 I went to the winter OLYMPICS in PyeongChang! 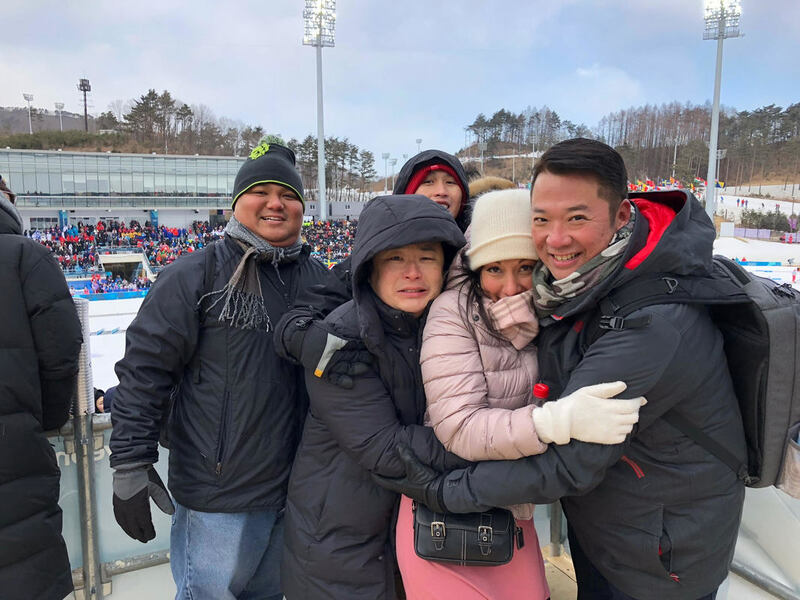 It was freezing cold, we got to see the Cross Country skiing race. 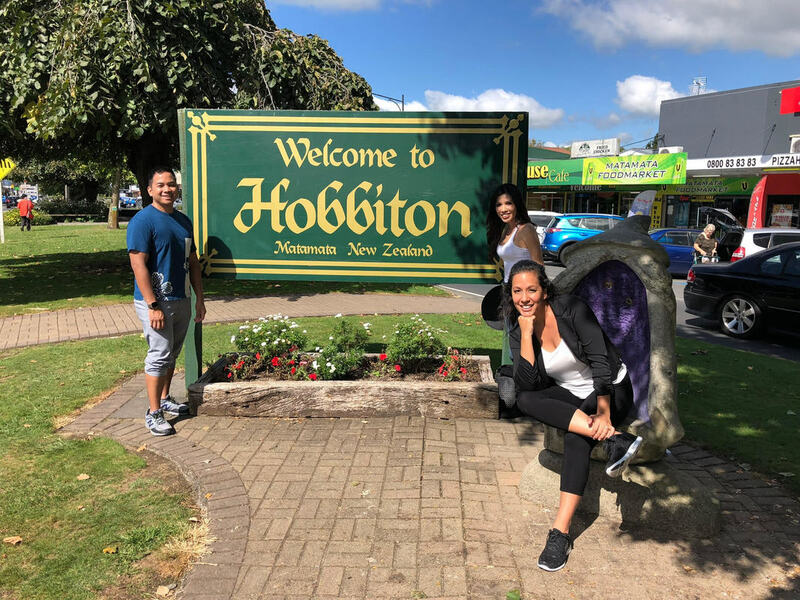 We pretty much did, saw and ate everything you're supposed to on North Island. 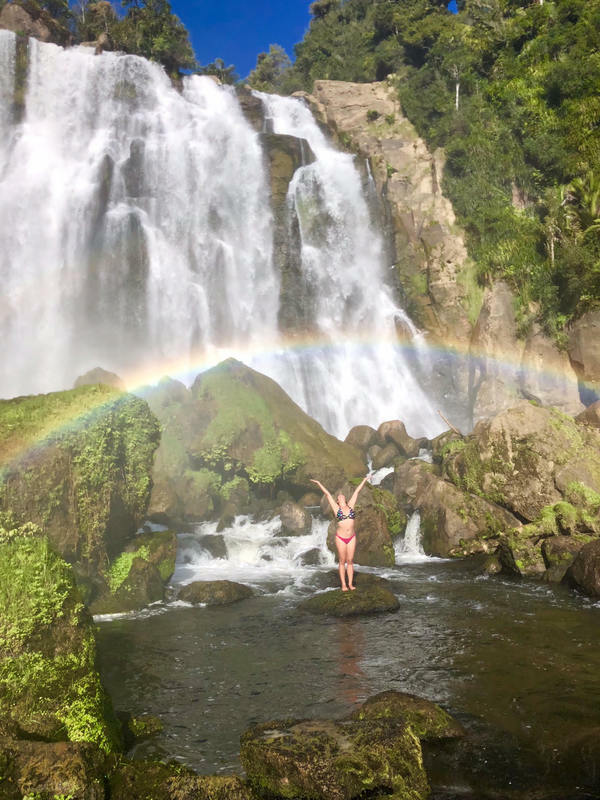 New Zealand is great, it's a lot like Hawaii in many ways. 3. 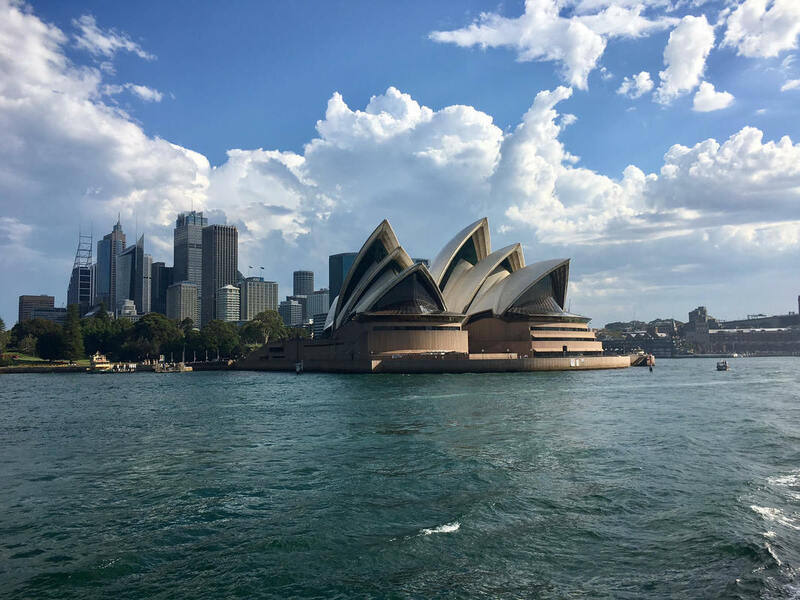 I spent half a day in Australia. 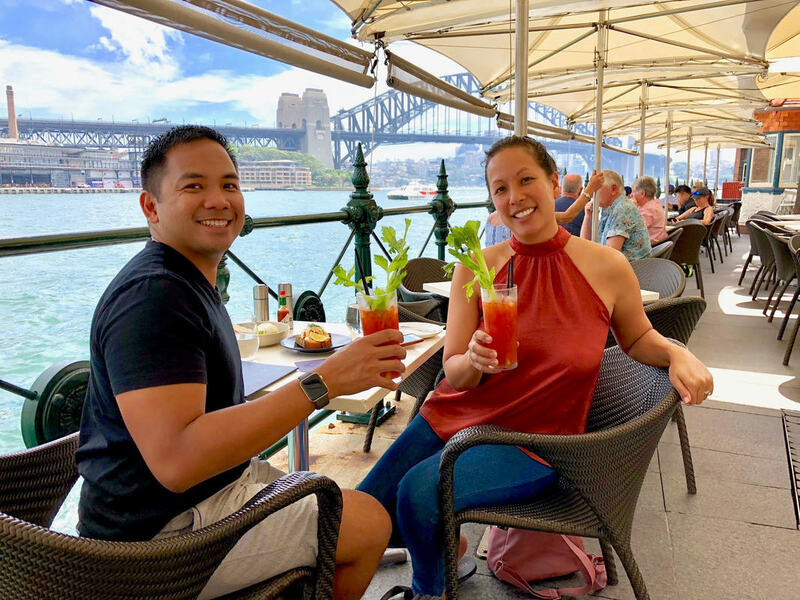 On our way home from NZ we spent the day in Sydney, this was my third time here and Irwin's first. 4. I started my very own show called Da Best Hawaii. From concept, to production, to shooting, hosting and even editing - this baby and passion project really took off! 5. I bought tickets in the 3rd row to Bruno Mars. Feeling any of these lately: anxious, irritable, short-tempered, agitated, worried or stressed? They say the holidays, while the most wonderful time of the year, can also be a very stressful and uneasy time of year. People are rushing, time is ticking and there's a lot going on. In recent years I have started to feel a sense of unease. It's hard to describe, almost like nervousness paired with agitation and sprinkled with irritability. I am not sure why this is happening and it came on all of the sudden. 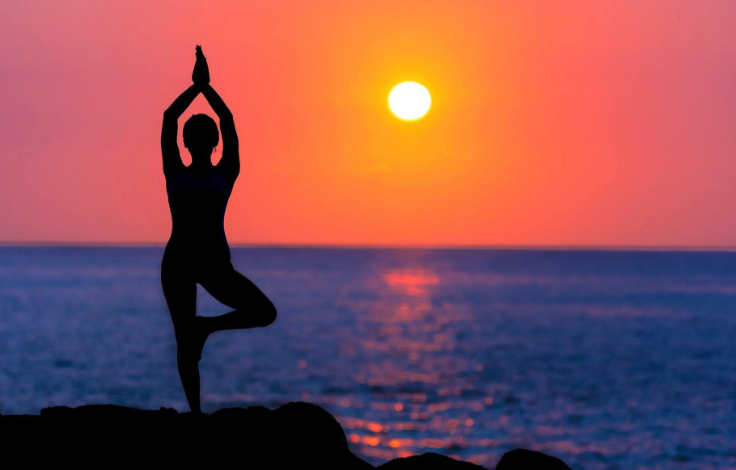 Sometimes I would try to remind myself to breathe, take a moment, do yoga, meditate and relax... But my mind is going, my phone is pinging and there's so much to do. You have to convince yourself to make time to have 'me time' and be sure to get enough rest/sleep, eat healthy, get exercise and surround yourself with positive and uplifting people... but sometimes you can't do all those things or make time for them. So, I decided to visit the neighborhood Down To Earth - Organic and Natural Products store in an attempt to find some all-natural remedies. (Disclaimer: I am not a physician and if you feel anything is life threatening and you are in danger - please go to the doctor). 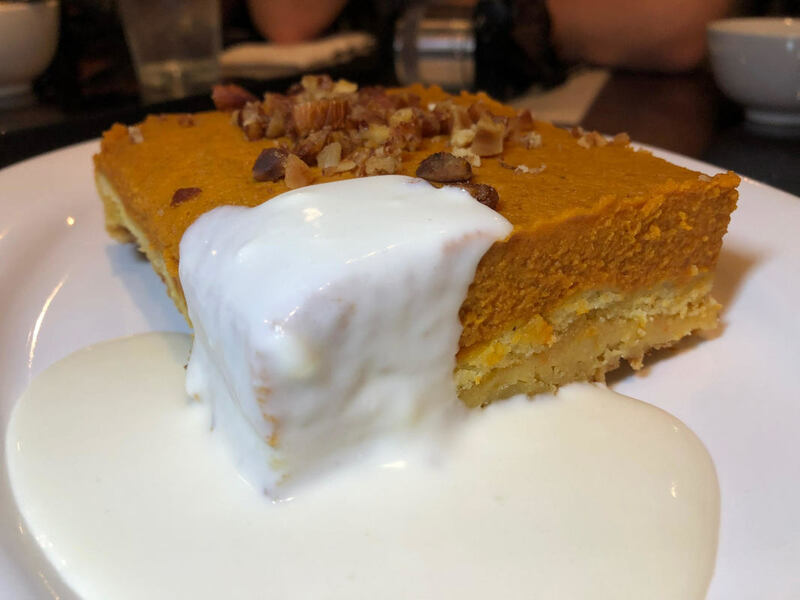 Down To Earth locations in Honolulu, Kakaako, Kahului, Pearlridge, Kailua & Kapolei. 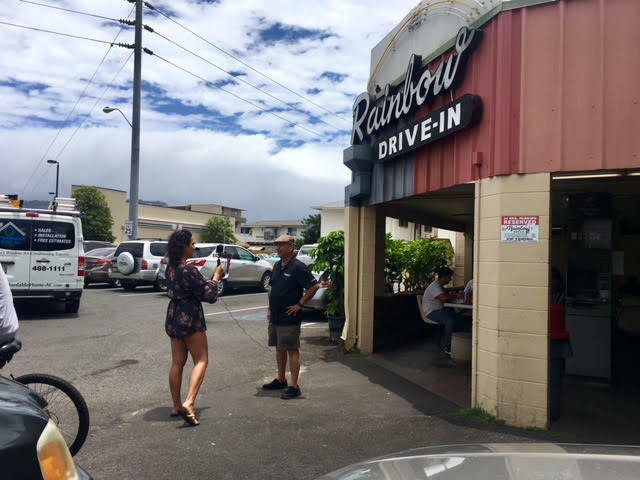 The Kakaako Down To Earth Organic and Natural Product Store, is really convenient and they have free or validated parking. The associates are so friendly, well educated/informed and really made me feel comfortable explaining my situation. They have an abundance of natural remedies and options. Anxie-T by LifeSeasons a combination of roots and other supplements these capsules are aimed at calming and nourishing the nervous system. Calm A.S.A.P. by gaia HERBS is made using a selection of natural flowers and is supposed to help reduce anxiousness. Aromatherapy Room & Body Mist - Relaxing Lavender by Aura Cacia is made from flowering lavender oil and water. 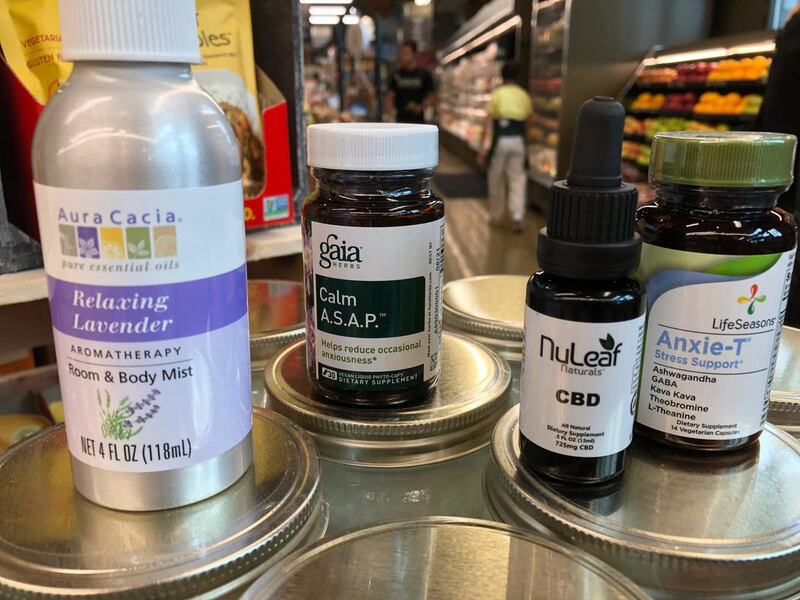 Nu Leaf CBD oil - made from Hemp non-psychoactive cannabinoid oil (does not cause a high) is supposed to help with pain, inflammation and relaxation. 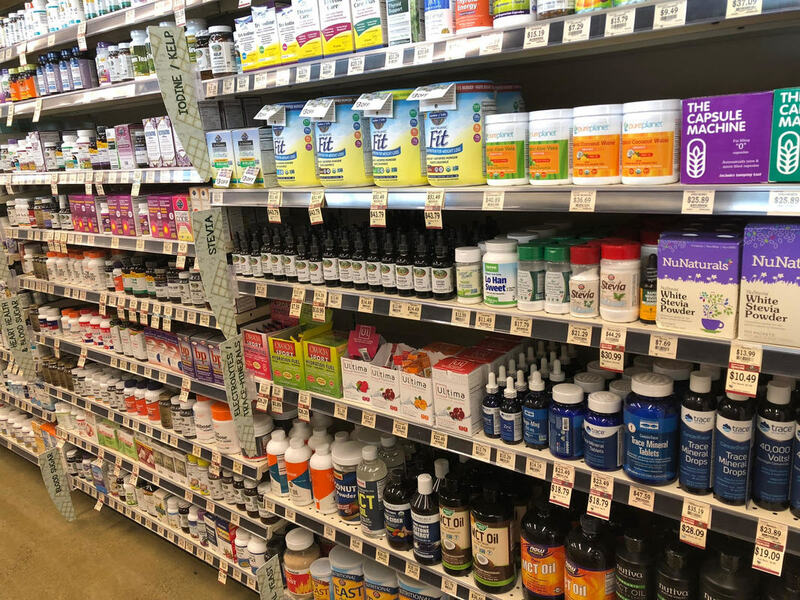 When needed, I would try the supplements individually. I would often not take a full dose and just do a half dose to see how it was. Then as time progressed I would try taking the full dose. I separately utilized the different natural products and overall felt a more relaxed feeling and was less on edge. The one that I believe worked the best by far was the CBD oil, of which I had heard a lot about but had never tried before. I also did some research prior to application. Essentially I found that the CBD oil was extremely helpful in allowing me to feel more myself, less irritable and more at ease. I would find myself singing in the car while driving, not as anxious and I also had a better mood with less grouchiness feeling. **Consult your physician, I am not a doctor and these are just my impressions and helpful tips, products provided by Down To Earth. New restaurant, new bar, new decor, new menu! 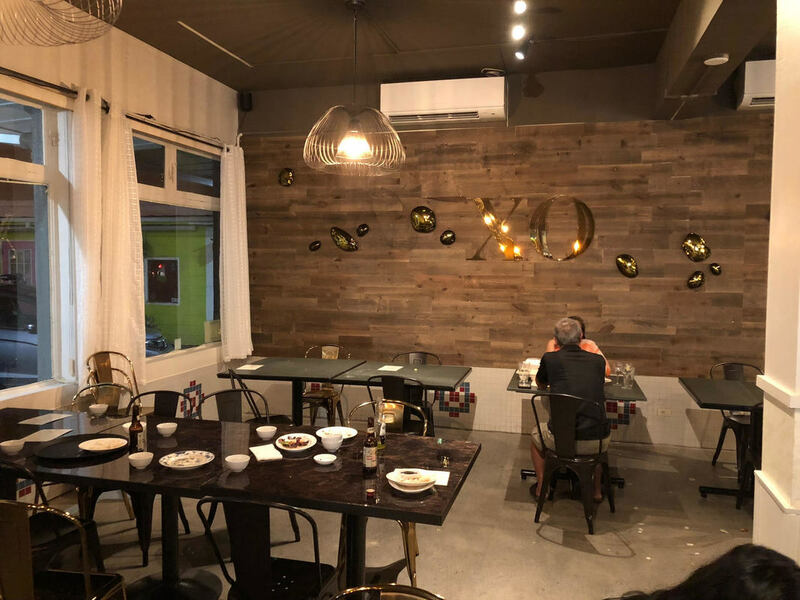 A fairly new kid on the Kaimuki block, Restaurant XO now sits in the former spot of an old Waialae Avenue Chinese restaurant, with all new decor, a brand new dining room, art installations, fresh tables and chairs, along with a brand spanking new bar - this place is sure to be the next hot spot. 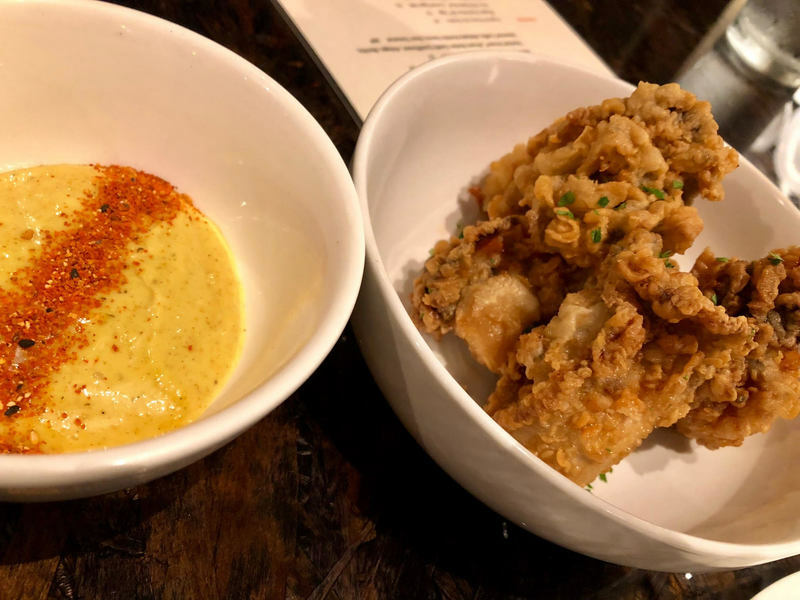 I featured them in my summer edition of Hawaii.com's Best New Restaurants - for the summer months 2018, if you wanna take a look. Now on to the review... 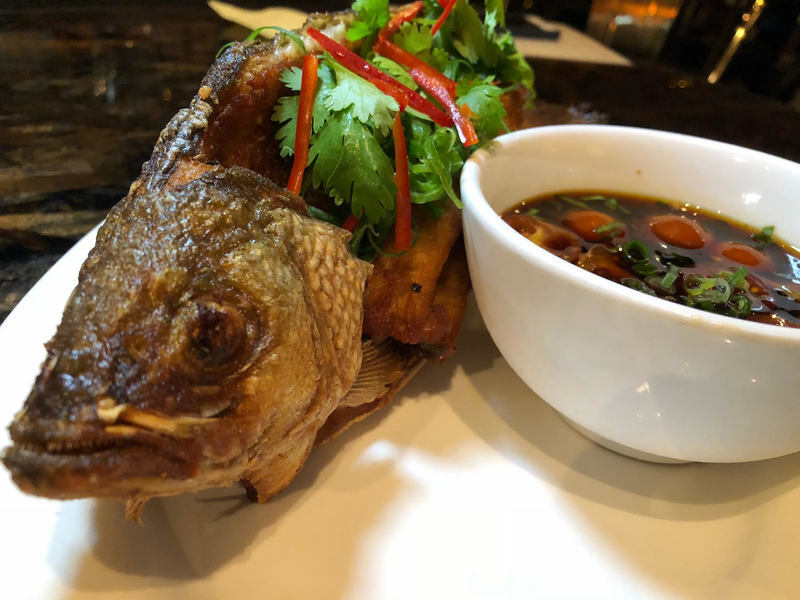 I may dare to say this is my new favorite new restaurant. 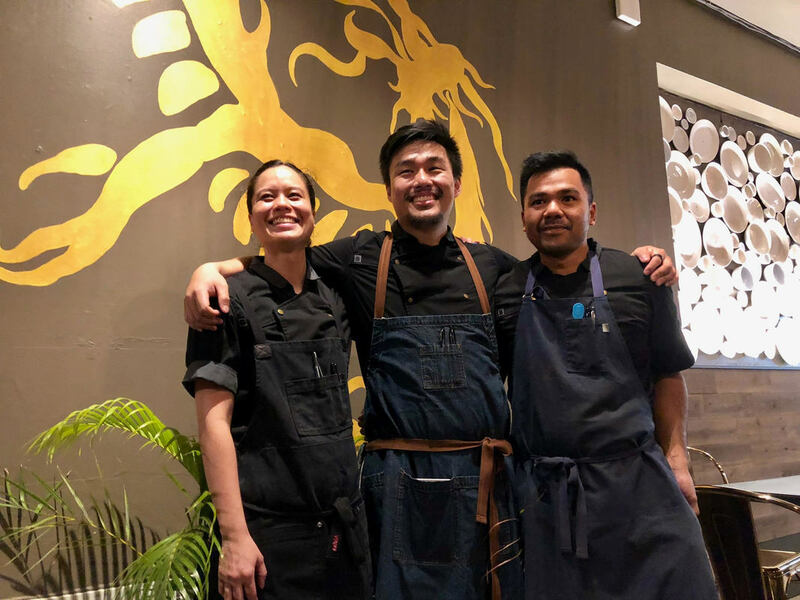 First and foremost, the menu is a blend of contemporary, ingenious and inventive as it blends a menagerie of diverse flavors, ingredients and local comfort foods. 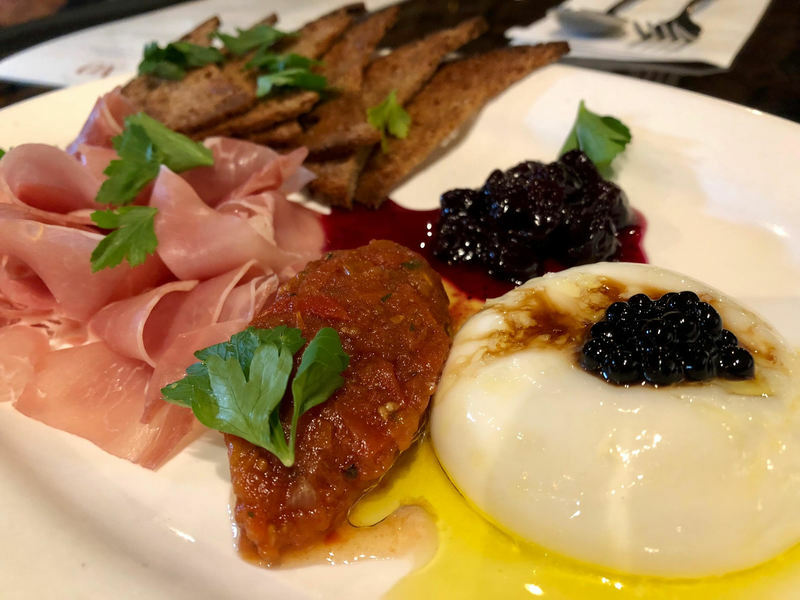 At first glance you'll spot items like Spam, Adobo, Lup Cheong and Crispy Rice, but look closer and you'll find Buratta, Black Truffle, Sous Vide Duck, Cured Egg Yolk and fine Caviar. How do these un-seemingly unrelated ingredients come together? Beautifully. 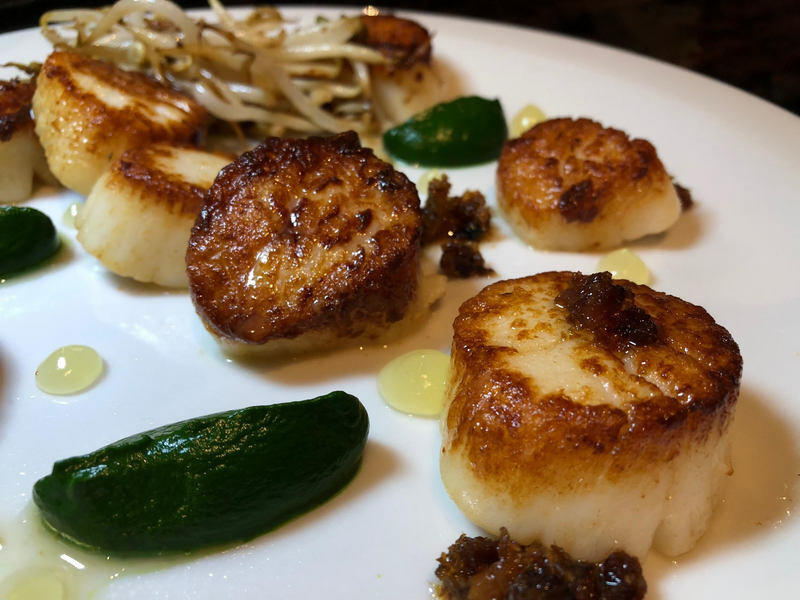 In a nut shell they compose dishes that are exquisitely delicious, perfectly cooked and immensely familiar. 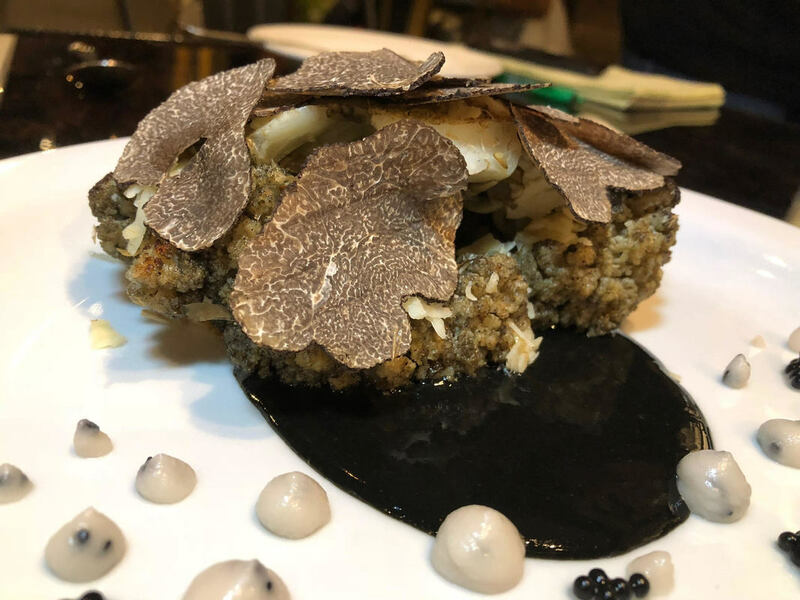 Price points are $9-$26, so while you're eating what looks, tastes and feels like ultra fine dining you're still enjoying something that is relatively moderate in price. 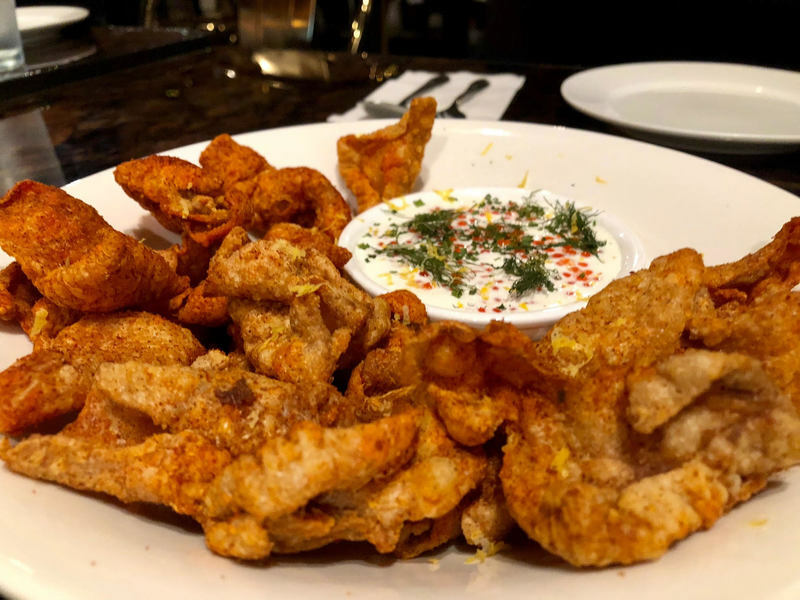 Add to that the extremely generous portion sizes, as these items are also prepared family-style so sharing is a must, and this is an experience all its own. 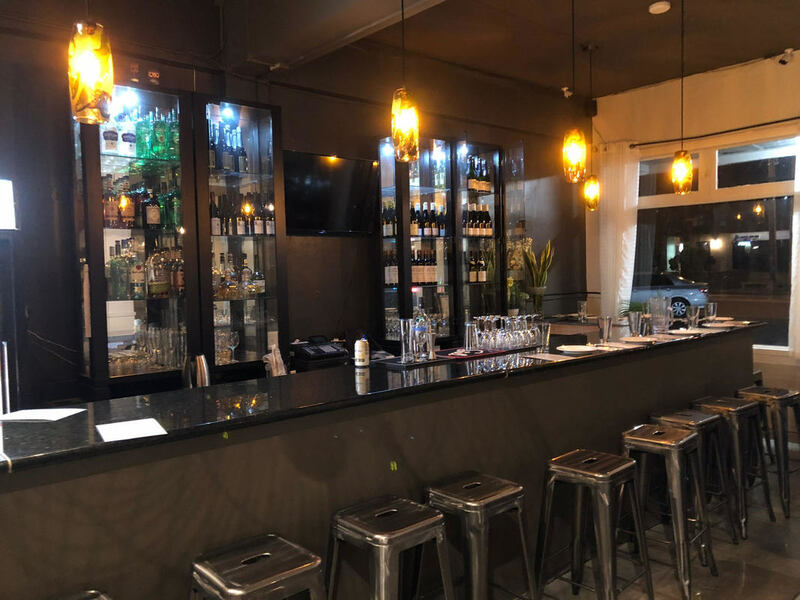 Since taking over the space in the summer of 2018 they jumped over hurdles and lept over speed bumps, now after a renovation and investing thousands of dollars into new equipment, decor and more the restaurant has a look, feel and vibe all its own and it is worth checking out for sure. ​Here are some new items along with some delicious favorites. Open everyday except for Sunday 5-10pm, reservations suggested. 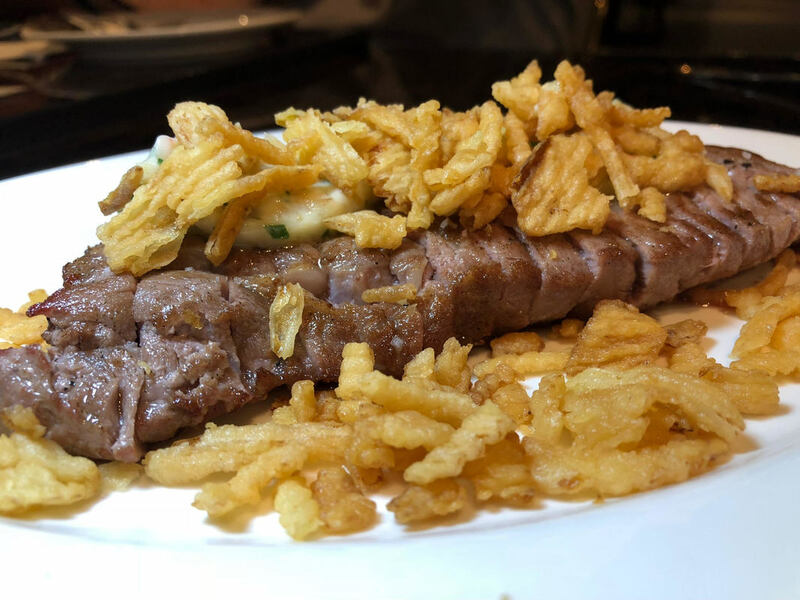 I LOVED the Buratta with Proscuitto and Tomato Jam, Lemongrass Sausages, Loaded Potato Au Gratin, Tomato Risotto, Adobo Fried Chicken and Buttermilk Shiso Fried Chicken, Fried Bass, Sous Vide Duck, Seared Steak and XO Scallops. 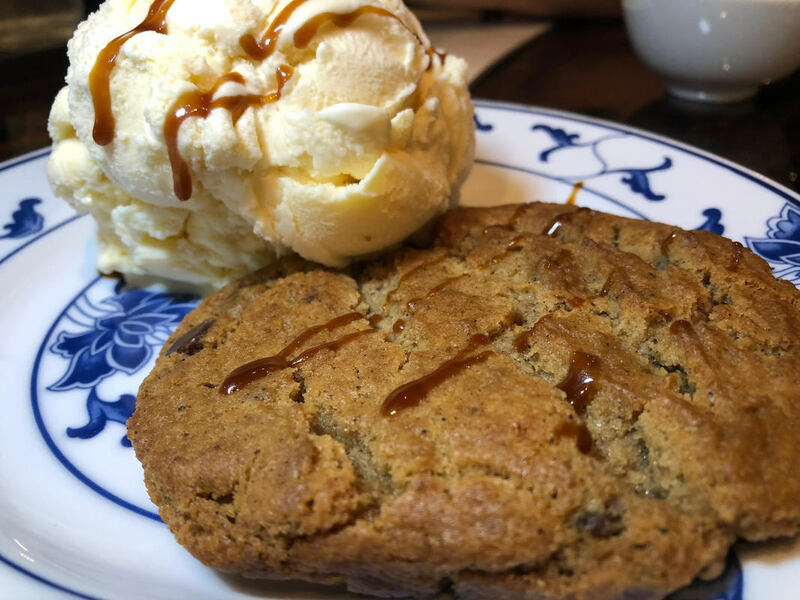 The Brown Butter Chocolate Chip Cookie Ala Mode is addicting! On a recent trip to Japan I was walking down the street in Shinjuku when I stumbled upon a cafe. 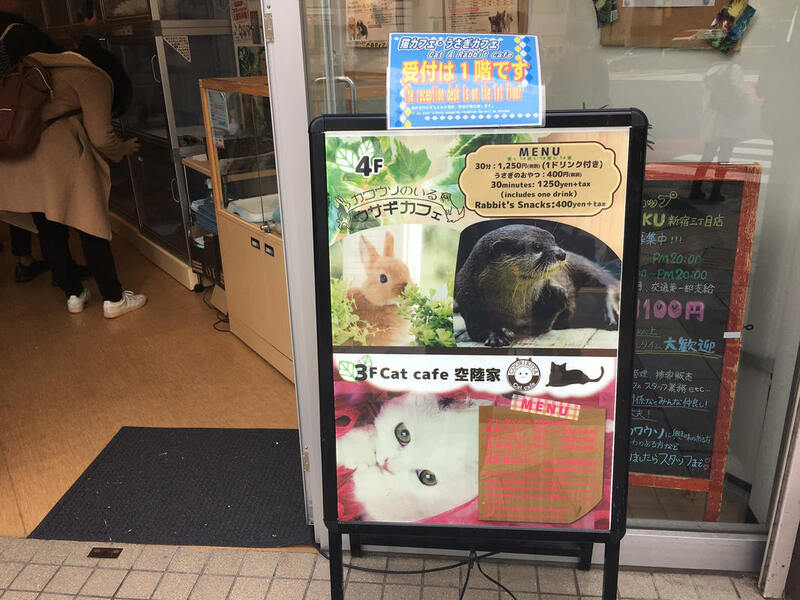 This is not an ordinary cafe as there are pets in the windows. 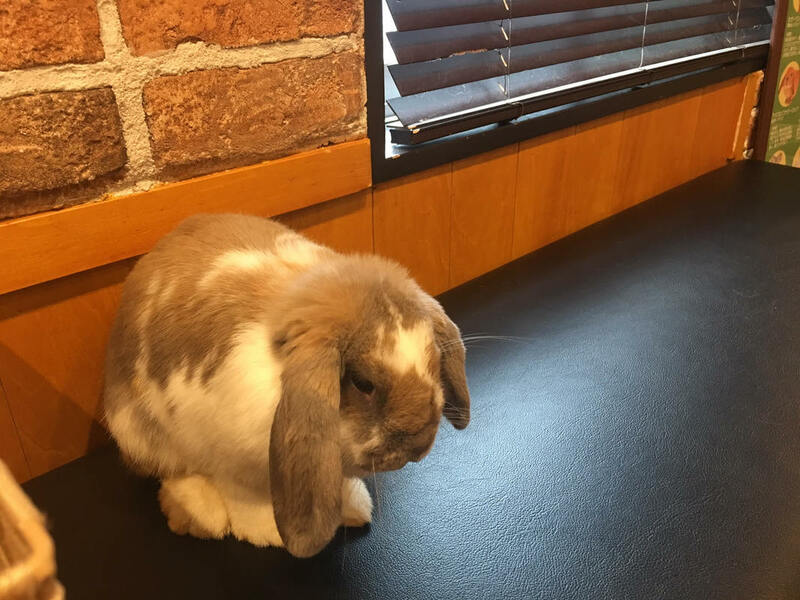 I had visited an animal cafe before in Thailand that featured many exotic animals (foxes, raccoon, etc), dogs and cats but this one in Japan was exclusively for bunnies! First off you walk up the stairs to an exclusive bunny floor one other floor had cats. There you are greeted by a worker who asked you to take off your shoes and gives you a blanket to hold. Then she shows me the cubby-holes with a broad range of breeds, ages and genders to choose from. 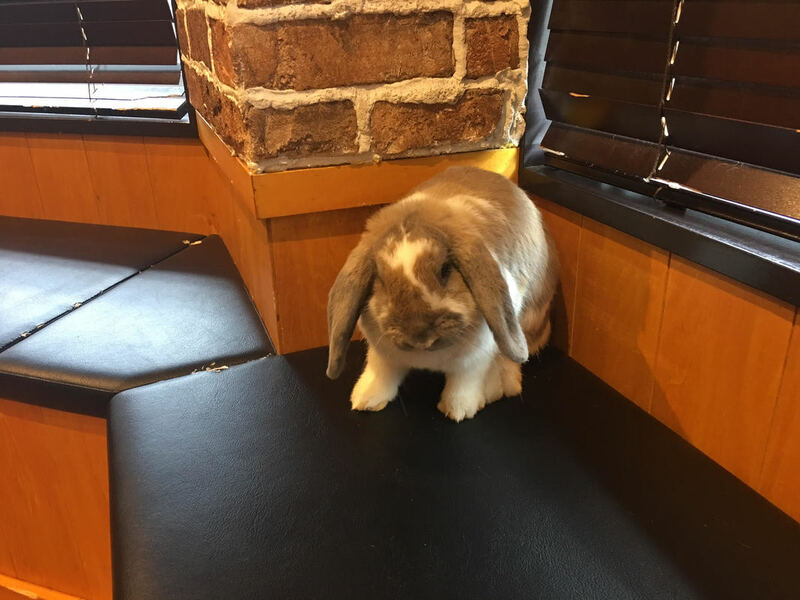 I of course went for the largest and fluffiest bunny first. 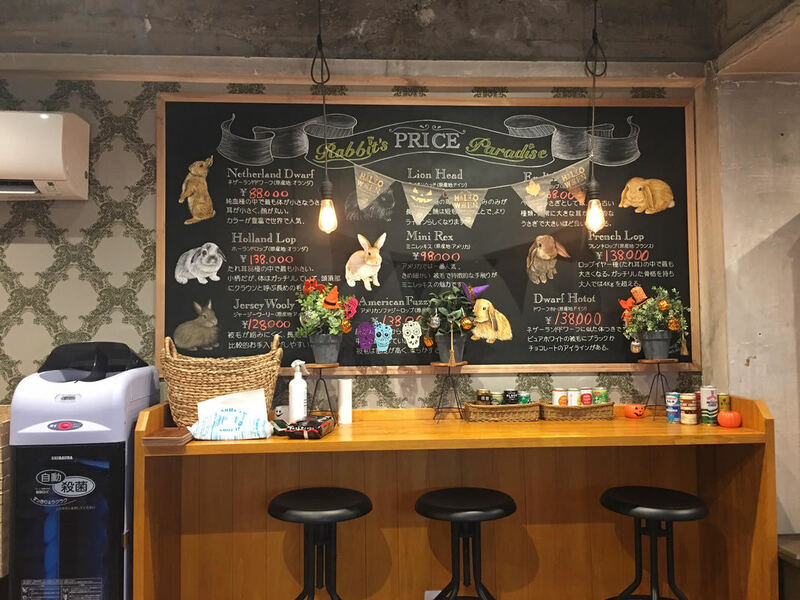 The cafe is quiet with light music, it is clean and while the bunnies are in moderate sized cages they have food, water and hay. The greeter also let some out to run around and let me hold the first bunny. Some of the bunnies were a bit hard to get to sit still while others just sat there. I am an animal lover so of course I wouldn't want to make an animal do something it didnt want to do, so if it wanted to roam freely and didn't want to be held then I would let it go. There was another bunny that had small babies and the worker put them all in a basket and presented them to me. I got to hold 2 baby bunnies while the others attempted to run around on the floor. They were so cute and they barely knew how to walk, hop and scoot around with their soft legs and furry feet. 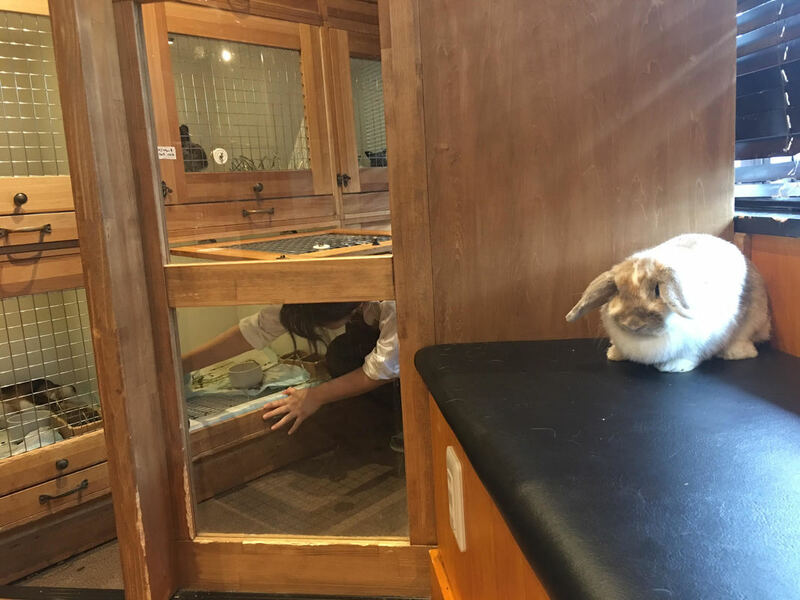 Overall the experience went by extremely fast and all of the bunnies were very kind and loving. One that I was interested in was known to bite so I opted not to hold him. I believe included in the fee is a drink, but I opted not to have one since all I wanted to do was hold, pet and play with the animals.